100% financing possible. 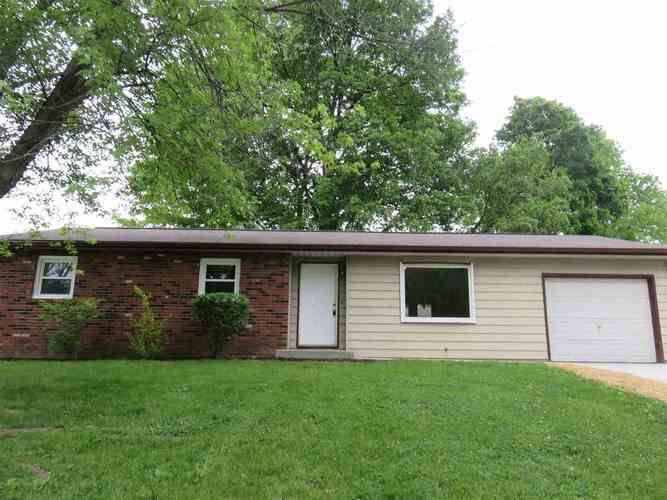 Better than new updated ranch home on large corner lot. Home has a new kitchen with white cabinets, granite look countertops, dishwasher and built in microwave. Home also has new windows, a new concrete driveway, newer laminate flooring in the main area, ceramic in the bathroom, and new carpet in the bedrooms. Full bath has been updated with new vanity and sink, new bathtub and shower surround. There is a small fenced area and large corner lot. Call today, this won't last long. Owner holds and Indiana real estate license. Directions:State Road 46 West through Ellettsville, Turn back east where highway divides and turn right on Poplar, which is the first street to the right. Turn left on Cedar.